Dr Robert Strangeway holds the position Research Geophysicist at the Institute of Geophysics and Planetary Physics (IGPP) at UCLA(University of California, Los Angeles). He has been joint Editor-in-Chief of the Journal of Atmospheric and Solar-Terrestrial Physics (JASTP) since 2012. The journal began in 1951 at the very beginning of what is termed the ‘space age’ and has grown to be the premier international home for research dedicated to the physics of the Earth's atmospheric and space environment. The journal publishes 12 volumes a year, has an Impact Factor of 1.417 and a 5-year Impact Factor of 1.625. A. Being a journal editor is an important task that contributes to the health of the research endeavor. A journal editor has a gate-keeper function, which I still consider to be an essential component of the scientific process, as is the peer-review process. It is important for a scientist to both be able to publish in journals that have a good scholarly reputation, and also know that papers published in a journal have passed through a reputable review process. The most rewarding aspect of being an editor is in providing a mechanism whereby scientists from under-represented communities have the opportunity to publish in a journal that has an international reputation. Q. 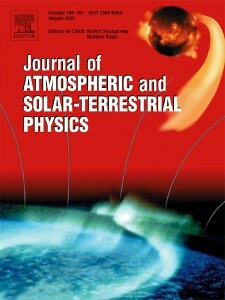 What are your biggest challenges as Editor-in-Chief of Journal of Atmospheric and Solar-Terrestrial Physics? How do you overcome these challenges and what extra support can Elsevier provide? A. The biggest challenge as an editor is finding sufficient reviewers for manuscripts (see Question 3). Unfortunately, everyone is so busy that it can take months for reviews to be obtained. This is a source of frustration for authors, and a problem for the editors. 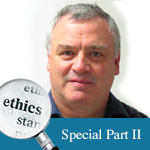 In particular, some areas of research are relatively small, and only a small pool of reviewers is available. Multiple requests for reviews also frustrate the reviewers. The Elsevier ’Search for Reviewers’ tool helps keep track of reviewers who have recently provided a review, or declined a review. It would be useful if the tool also provided an ’uninvited’ entry for reviewers who do not respond to requests for reviews. The second largest challenge concerns the breadth of topics covered by the journal. I think this is to the journal’s credit, but sometimes as editor I find myself assigning reviewers although I have little knowledge of the field, or any experience of the reviewers themselves. The ‘Find Reviewers’ tool provided by Elsevier helps fill that gap, although it sometimes provides incorrect email addresses and affiliations, especially for similar names in different disciplines. The final challenge is what to do with contradictory or incomplete reviews. If two reviews contradict each other, as editor I often have the difficult choice of deciding which review carries more weight, while an incomplete review simply makes my editorial decision harder to justify. A. I have no obvious solution to this problem, as I think the two-reviewer peer-review process as it has evolved over the years is the best process we have. It is not perfect – it does depend on conscientious reviewers, and sometimes can be affected by inherent reviewer bias. But alternatives, such as single reviewers, or editor pre-screening, makes the review decision essentially dependent on a single point of view. As editor I do pre-screen papers, and I have rejected papers before sending them for review, but this only occurs for papers that are incorrect, or inappropriate for the journal. I do not pre-screen for scientific relevance, for example. I know that there are advocates for ‘crowd-sourcing’ of reviews, where papers are essentially published without review, and the merit of the papers is determined by the readership. But that is what happens as part of the present publication process, albeit less visibly, in that unimportant papers are not cited. The question then becomes one of quality control – does the community at large want some form of filter on the material that is published?Right now that function is performed through the editorial review process. A. Access by articles, rather than by journals, is the wave of the future. That is how I personally access articles. I rely heavily on emails from the journals listing the most recently published articles. I no longer access a journal’s site and browse the table of contents. Access at an article level is good for the journal. Table of contents emails, or links to cited articles, allow individuals to learn about the article, regardless of the journal. There is no journal bias. Q. Recently, there have been many developments in open access particularly in the UK and Europe where, back in July 2012, the UK government endorsed the Finch Report recommendations for government-funded research to be made available in open access publications. The European Commission has since followed suit, making a similar announcement for an open access policy starting in 2014. How do you see these open access changes in your country? And how do you see them affecting authors who publish in your journal? A. The United States is also moving towards open access, as new requirements are being developed that provide open access to articles generated through government support. This is very much in a state of flux, and it is not yet clear how this will be implemented. The fundamental issue is, of course, how the costs of publication are recovered by the journal. The concern is that open access requirements will require more of the costs of publication to be incurred by the authors, rather than the readers of the article. This may require different publication charge policies depending on whether or not open access is mandated. Q. Researchers need to demonstrate their research impact, and they are increasingly under pressure to publish articles in journals with high Impact Factors. How important is a journal’s Impact Factor to you, and do you see any developments in your community regarding other research quality measurement? A. Impact Factor is important, and I would like to see JASTP’s Impact Factor continue to improve. This requires a demonstration that the journal is following best practices in terms of reviewing and publishing articles. This is also facilitated by having Special Issues that include topical, and hence highly citable, papers. Impact Factor continues to be the primary means by which the members of my community assess journal importance. Q. As online publishing techniques develop, the traditional format of the online scientific article will change. At Elsevier, we are experimenting with new online content features and functionality. Which improvements/changes would you, as an editor, find most important. A. Elsevier is doing an excellent job in providing linked cross-references in articles. I would like to see this be available without requiring a subscription to the journal, but this may only happen in response to changes instigated by the open access requirement that is being imposed by the UK, EU, and USA. At a minimum, the reference list should be open access, with embedded links to the cited papers. A. I am of the generation that is more familiar with email as a primary means of electronic communication. I have a web presence, but it uses the relatively static ‘homepage’ concept, where updates require me to actively edit the content of my webpage, rather than simply post updates. While I have pages on a few social and professional networks, I have not yet taken advantage of the additional visibility provided by these networking sites. I would consider including more information concerning my role as an editor in the professional networking sites to which I subscribe, but guidance from Elsevier would be useful. In particular, would Elsevier require notification or review of any information posted on a personal entry in a networking site? Guidance on how to connect the personal site to the journal would also be helpful. A. This is an important and difficult question. For JASTP in particular, I am looking forward to a continued improvement in the Impact Factor. For journals as a whole, the future depends very much on how they adapt to the open-access environment, as well as the tendency to electronically access separate articles from the journal. Journals have always been seen as an archiving medium. That role will remain. Similarly, I expect citation rates, and indices derived from citation rates, to continue as an important aspect of an individual’s promotion throughout their career. The standing of a journal is also important when assessing an individual’s publication record. But these are all based on the historical model of publication in scientific journals. Adapting to the changing publishing environment is essential if the journals are also to be considered as the active source, rather than simply an archival record. Again, this is related to the adoption of an open-access environment, which in turn will require journals to adapt how publication charges are assessed. A. The most basic tip, which I confess to not always following myself, is to find time each day to clear out the “Editor ‘to-do’ List” on the Editor page. This can back up quickly. I don’t have any special tricks that I use during the editorial process. I scan the submitted articles, and always compare reviewers’ comments with the content. I don’t see any shortcut for that process. I do wish I could find a trick that would enable me to find reviewers more quickly, as that is usually the most time-consuming aspect of the process.